You asked for it, it is finally here! 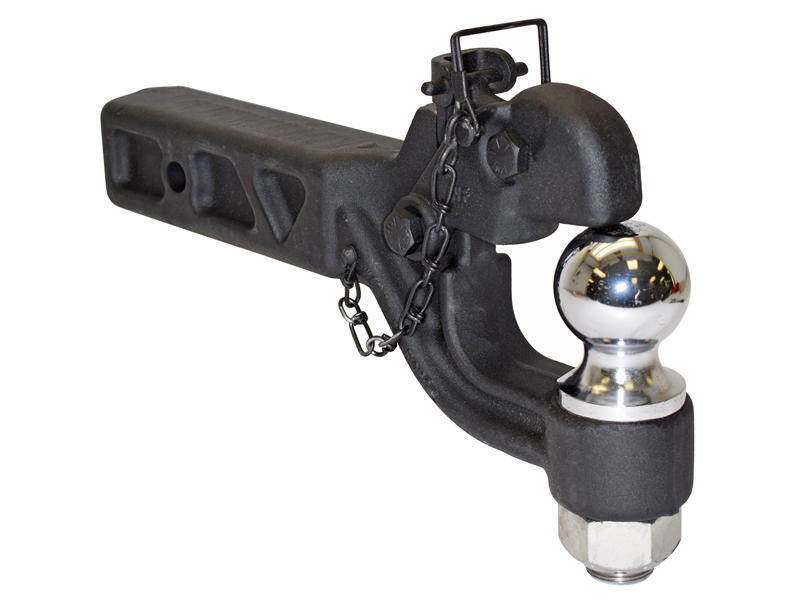 American Made combination pintle hook for 2-1/2" receivers! A 20,000 lb. pintle capacity with a 4,000 lb. vertical load rating. The one piece design includes a 2-5/16" ball. Hitch pin & clip is not included. The Wallace Forge Company was founded in 1942 by Emery R. Wallace. The Wallace Forge Company started doing Die work and then progressed to doing custom forgings. It was truly a family business with Martha Wallace Doing the book keeping and Emery Wallace sinking the dies. In the 1950's Eugene Wallace, Emery's son, joined the family business after completing high school. Eugene Wallace shifted the direction from custom jobs to manufacturing its own products. To this day The Wallace Forge Company has developed new products in the trucking industry to satisfy our customers, and expand the industry.